Where did the idea of the pope's infallibility come from? Why are priests celibate and women barred from the priesthood? What was the position of the Catholic Church on Hitler's policies in World War II? What is the Church's relationship to Islam? How will the growth of the Church in South America, Africa, and Asia shape its future? 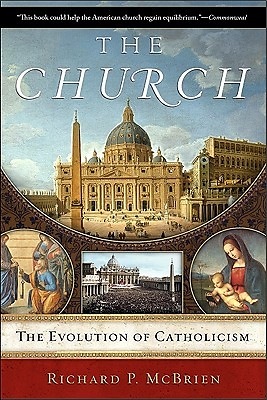 McBrien helps the reader understand the evolution of the Catholic Church's understanding of itself through the centuries, its leadership, and its relationship to national governments and world religions. From Jesus's apostle Peter to Pope Benedict XVI, "The Church" explains in layperson's terms the evolution of the Catholic Church, its power, its scope, its theology, and its influence.